Monday night Team GeeStor (Sarah Moore & Zara Laws) attended #SpikeIs60 event in central London. 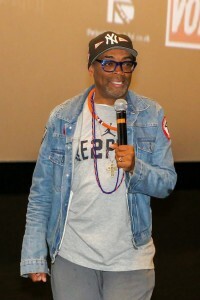 There is no denying Spike Lee’s contribution to film and the creative world, and with this being his first talk in the UK in 15years, we could not miss! 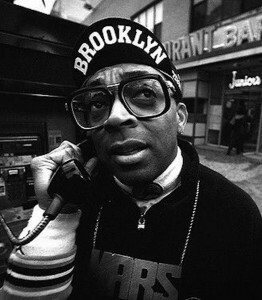 Having produced, directed, written as well as taken on roles himself, Spike has over 35 credits in film. The gems he dropped, regardless of your career background or goals can be used by us all. The night was opened with a preview of his new short film, which focuses on USA new president Donald Trump dubbed ‘The Klown With The Nuclear Code’, which cleverly covered the views of many from fear to anger while looking back on the history of Black people in America. Spike follows with a talk on why he made this short film and how resisting is what we need to do right now. He then talked us through his younger days. How one summer a friend of his gave him a camera they were no longer using with some film stock. So having nothing better to do he filmed, all summer. It was on the advice of a teacher that he used the content to make a film. With the help of the teacher who gave up his own spare time to give Spike access to the facilities he needed to edit his material, he presented a finished film to his fellow class mates and they laughed were they were meant to laugh and seemed to take the message he had been hoping to give. This sparked something in Spike, as from this moment he said he knew he wanted to be a film maker. With the support of his family, Spike began the journey to becoming the legend he is today. and parents & family who supported his dream, despitethe fact there was only one African-American man in the film industry at the time, Spike might never have followed his dream. Spike encourages us all to embrace our children dreams, he rightly said that parents can be the biggest dream killers for young people. Spike went from a D- to a A+ student because he was motivated. 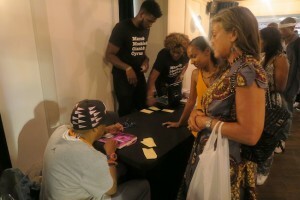 After school he went on to film school and embarked on making films, Spike discussed some of the many obstacles he overcame. How some situations led him to having to let down people that relied on him, the huge embarrassment this caused and nights spent crying but ultimately they became great lessons. Lessons that brought him to where he is today. He talked about making She’s Gotta Have It, of making Malcolm X with Denzel Washington and the tremendous dedication of this great actor & of his 30 plus films he has produced, written & directed over the years. What strikes me about Spike, is that he doesn’t just produce film to entertain. He uses film as a platform to speak out and support what he believes in. He spoke openly about his feud with Tarantino to the lack of black representation in Clint Eastwood’s films, Spike refuses to be silent. Unfortunately over the years there have been many uproars about the lack of representation and appreciation of people of colour in film. We have seen big corporations appropriate Black culture and many attempts to use Black culture as a marketing tool, without any real background knowledge on the history and heart behind it. He attributes a lot of this to the fact that all decision making bodies do not have representation from people of colour and referenced the recent Pepsi Cola ad made against the background of a #BlackLivesMatter demonstration. Overall it was a great evening, congratulations to We Are Parable for the event. 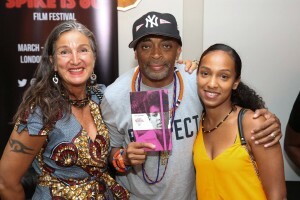 Thank you to Spike Lee.